British good taste. Hand cooked. Gluten free. No artificial or MSG products. Suitable for vegans & vegetarians.Like a basketful of texture and taste harvested from a lovingly-tended garden, with a perfect pinch of natural seasoning. 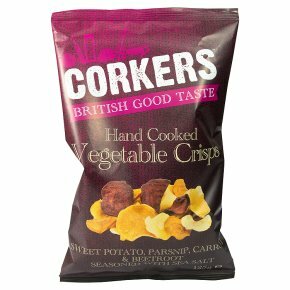 Full-on flavour the Corkers way!